Dolphus, a Grade 3-placed half-brother to 2009 Horse of the Year Rachel Alexandra, has been retired from racing and will debut at Cabin Creek Farm in Bernville, Penn., BloodHorse reports. The 5-year-old Lookin at Lucky horse will stand for an advertised fee of $2,500, with special considerations to mares foaling in Pennsylvania. Dolphus won four of 12 starts, and finished second in last year's G3 Pimlico Special Handicap. He raced as a homebred for Dede McGehee's Heaven Trees Farm, and he was trained by Joe Sharp and Jimmy Jerkens. 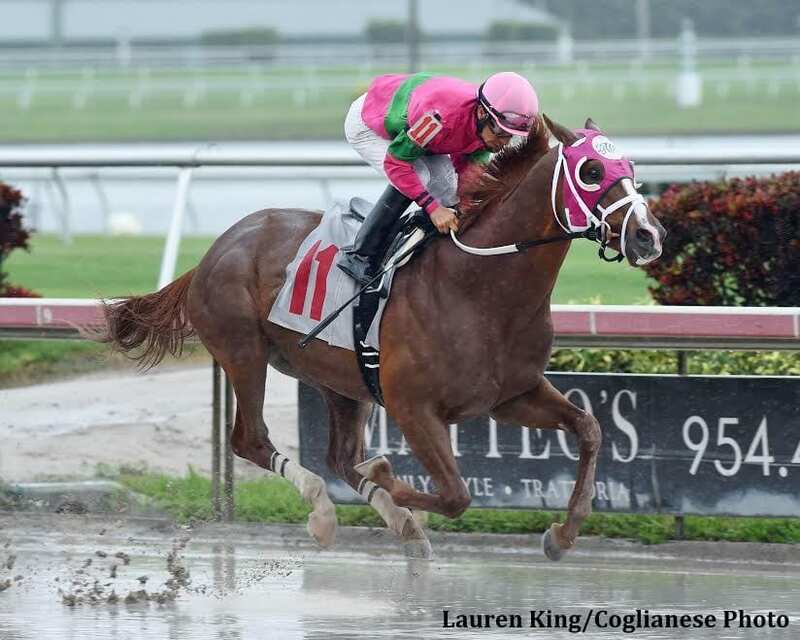 This entry was posted in Bloodstock and tagged 2019 stud fees, Cabin Creek Farm, Dede McGehee, dolphus, Heaven Trees Farm, Horse Retirements, jimmy jerkens, Joe Sharp, lookin at lucky, Rachel Alexandra by Paulick Report Staff. Bookmark the permalink.